Perhaps the most commonly asked question Vegans get is the classic: “Where do you get your protein?” If we’ve heard it once, we’ve heard it a thousand times. 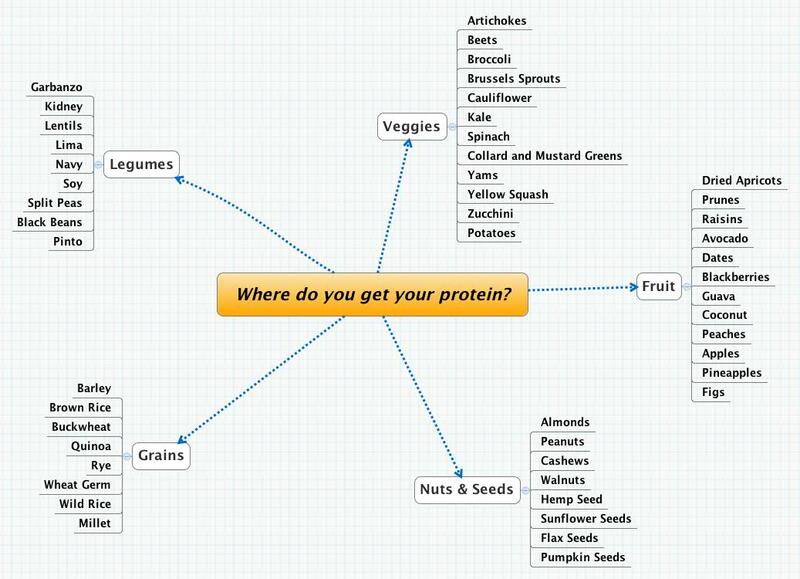 Simply put, protein is found in so many other sources than just animals. It is abundant in nature. Where do you think the animals get it??? I put together this “info-graphic” to assist those who are curious about Vegan Protein Sources, and to assist any of you thinking about making the transition to the Vegan lifestyle. what do you mean when you talk about “rollers?” My mother had some sitting on her vanity when I was growing up, but I don’t think that is what you mean as your current hair style tells me different. Please clarify for me. I find it odd that so many people ask where I(a vegan) get my protein but how many of them even know what percentage of their calories should be protein or that the body can’t even store protein? The great thing about going vegan(for most vegans) is that you have to educate yourself on diet to understand how the body really works.